One of the greatest things about making our own herbal remedies is that it gives us a great amount of control over own health. We can make those herbal remedies even more frugal and rewarding by planting our own customized medicinal herb garden. 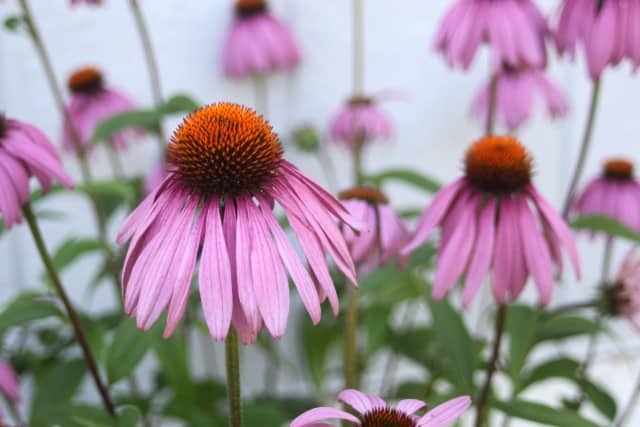 Use these simple steps to help you plan and plant a medicinal herb garden perfectly suited for your house and its members. What Herbal Medicine Do You Need? While we can and should grow flowers and herbs just because they're pretty or we like them, when space (and time) is limited let's stick to necessity first and foremost. What are the common ailments in your home? Stick to the basics: upset stomachs, common colds, headaches, sore throats, insomnia, rashes, bug bites, burns, cuts, bruises, etc. This is an incredibly personal exercise, what one house needs versus another is going to vary widely. Make an actual list of the ailments on a piece of paper. Now that you have the list of ailments, find the herbs most commonly used to treat them. Simply write down all the herbs you can think of or research for each ailment. We'll drill it down in the next step. Once you have your list, you'll realize that you already have some of the herbs fairly readily. Dandelions are likely already in the yard, for example. Yarrow might be easy to forage from a local park and sage is already in the culinary herb garden. Cross these off your list. If you aren't likely to forage for something because it's hard to find even if it is locally available sometimes. Don't cross it off, only cross off items that are easily and readily available to you without much work. 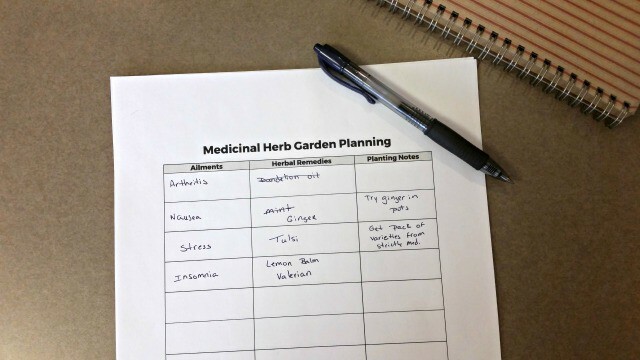 Get my printable medicinal herb garden planning sheet when you sign up for my newsletter. Size – apartment dwellers most likely need things that can be grown in pots. Elderberry bushes might be out for example. Gardening Climate – some plants will just not do well in certain zones, this is as true for herbs as it is for vegetables. Location – Is there a sunny or shady spot available for the desired herbs? Look at the back of seed packets or in books for their best growing conditions. Some herbs are almost if not completely invasive – have a plan for that in the space they are planted. Keep track of these notes on your planning sheet or in your garden. Once you've decided on what herbs you need and what can get planted. It's time to locate the herbs. 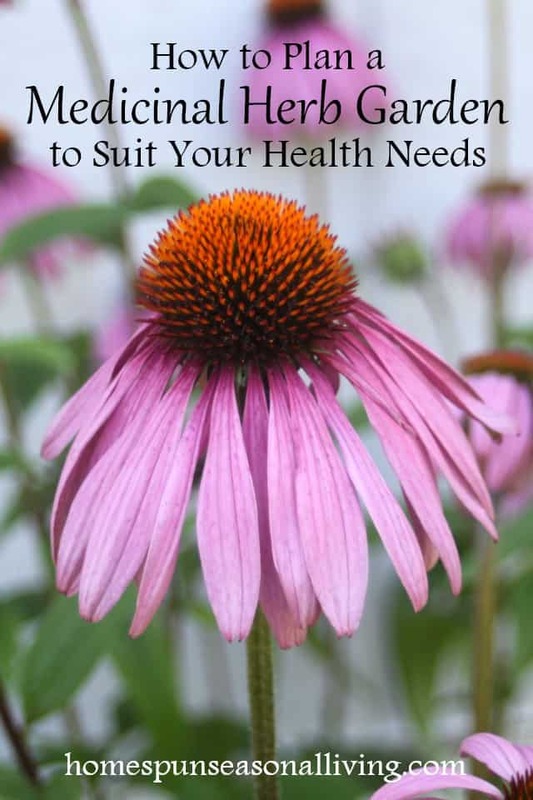 Strictly Medicinal Seeds – Run by herbalists and amazing gardeners this is often my first choice. They have a wide variety of medicinal (and other) seeds. They also sell plants and live roots for your garden. Seed Savers – I'm a long-time fan and customer of this company. 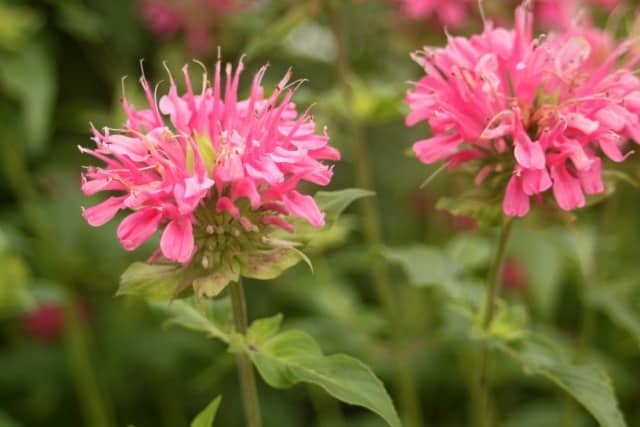 Their medicinal herbs selection is not as wide as Strictly Medicinal but they have some great choices and are always worth a look for heirloom seeds. Beyond traditional seed catalogs, however; look to other local gardeners for plant starts. Many perennial herbs can use a division now and then to keep them from taking over. Ask other gardeners if they have any plants they'll be dividing and take those roots home. This is always a great idea because you can rest assured the plants will do well in your growing area. Once the seeds and plants are in hand. Get that garden started and tend to it. This is the same as it would be for any garden but can't be overlooked. In order to get the most potent medicine from the herbs they need to be cared for well. Give them water, sunlight, nutrition (compost, etc.) as needed. Cut leafy herbs as they grow and as needed. Cut them about 1 inch above the soil line. This is best for things like mint, lemon balm, sage, etc. Most of these herbs are harvested before flowering for best flavor. 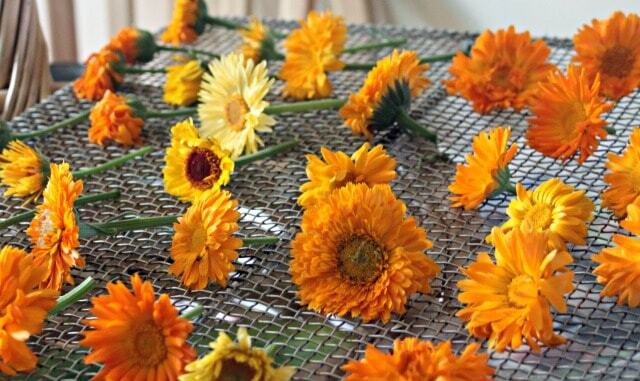 Harvest flowers as they bloom. Things like dandelion, lavender, honeysuckle, etc. Some plants can be harvested and used even before the buds open completely. Dig roots for medicine up in the fall and wait at least 1 year (2 is even better) before digging up any portion of roots to give perennial plants a chance to get settled. If an annual, obviously harvest away. There are a multitude of ways to make various herbal medicines. We're not going to cover them here but the point of having a medicinal garden is to make medicine for your particular ailments. Do that and make it a regular part of your homemaking and preserving routine. At the very least, dry the herbs for medicine making and tea drinking later. Growing medicinal herbs is a worthwhile and rewarding garden exercise. Not only do the tend to be beautiful, but medicinal herb gardens are incredibly useful in keeping us and our households running well. Use these steps as a way to customize not only your garden but also your herbal medicine cabinet.